Suffolk Cottage Holidays01502 722717work Holiday Letting AgencyWhether you are looking for contemporary chic or classic comfort, Suffolk Cottage Holidays' stylish, luxury cottages are the very best in Suffolk. Choose from around 200 charming self-catering holiday cottages including grade listed country homes, converted barns and mills, quaint cottages and on-trend apartments. Found in beautiful coastal and countryside locations throughout Suffolk including Aldeburgh, Orford, Southwold, Woodbridge, Lavenham and Harwich, you're sure to find somewhere you'll fall in love with. Our enthusiastic, knowledgeable, dedicated and friendly Suffolk Cottage Holidays team are on hand to help you find your perfect self-catering holiday property in Suffolk and East Anglia. A team of local experts; they have walked the paths, cycled the country lanes, photographed the wildlife, barbequed on our beautiful beaches and tasted Suffolk's superb local produce, fine wines and outstanding beers to provide depth knowledge of Suffolk and all that it has to offer the visitor. 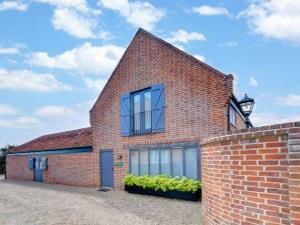 They visit our portfolio of properties regularly and will share their knowledge to help you choose the holiday that is right for you and your family or friends from our wonderful selection of holiday cottages in Suffolk. Whatever the time of year, Suffolk is a beautiful place to visit and there is always lots going on from music festivals to Christmas markets. The county is proud of their local attractions and visitors can enjoy a wonderful choice of things to do. Whether you are looking for contemporary chic or classic comfort, Suffolk Cottage Holidays' stylish, luxury cottages are the very best in Suffolk. Choose from around 200 charming self-catering holiday cottages including grade listed country homes, converted barns and mills, quaint cottages and on-trend apartments. Found in beautiful coastal and countryside locations throughout Suffolk including Aldeburgh, Orford, Southwold, Woodbridge, Lavenham and Harwich, you're sure to find somewhere you'll fall in love with. Booking a holiday has never been easier with an online booking service that is open 24 hours a day, 7 days a week, or if you'd rather speak to one of our local team, give us a call or pop into one of our offices in Aldeburgh or Woodbridge.